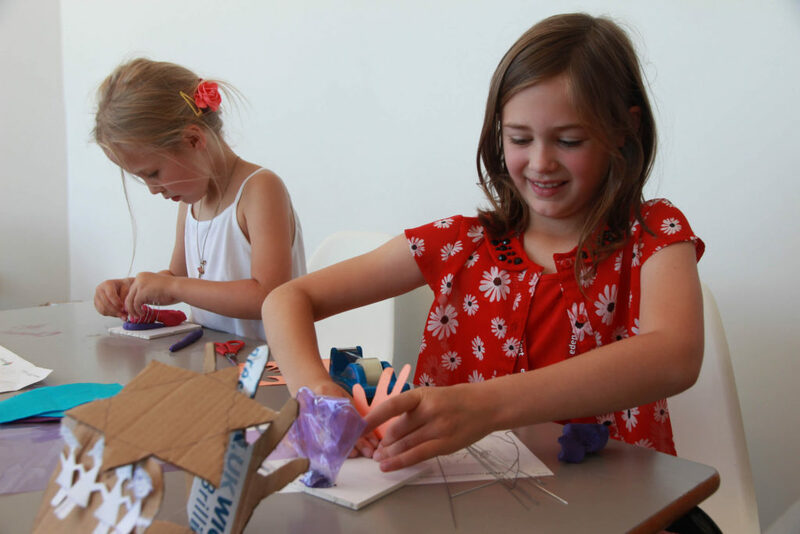 On Saturday 8 August the seventh Build Your Own Pavilion workshop took place at the Eden Project. 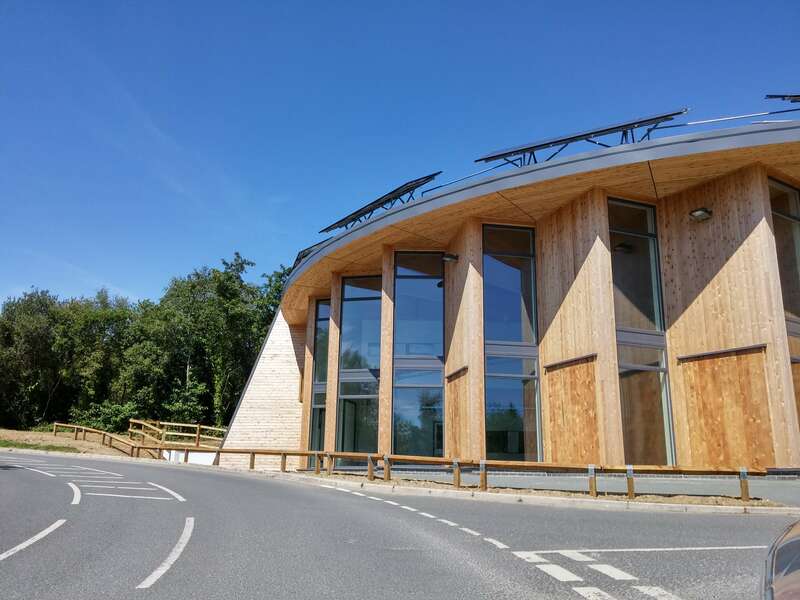 We were really excited to be the first ever event in their new sustainable center, the Eden Project Green Build Hub. The Hub showcases innovation in green building. Sustainable architecture aims to minimise the negative environmental impact of buildings by looking at efficiency in the use of materials, energy, and space. In today’s world this is a hugely important consideration for architects. How would you make your Pavilion more environmentally friendly? 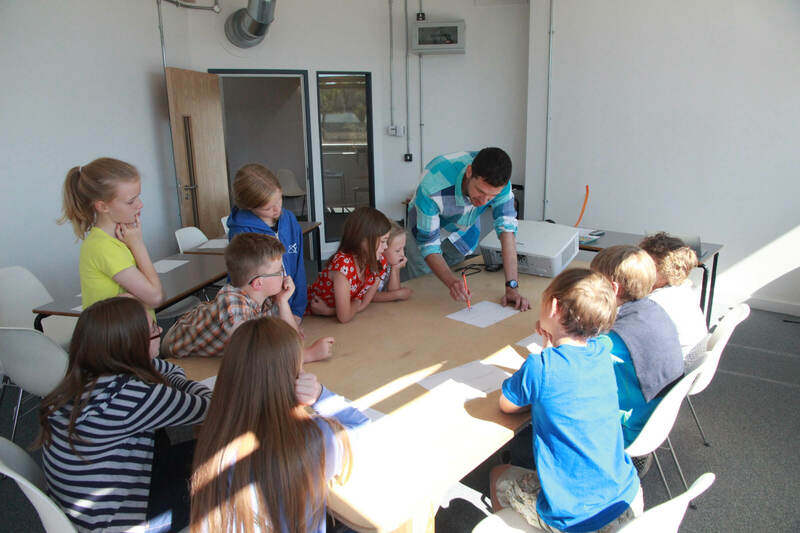 As the sun streamed in Emily, Bryn, Jemma, Megan, Bethany, Richard, William, Tom, Laurel and Aimee worked together to brainstorm ideas for Pavilions. They thought really hard about what their spaces would be used for. Bethany’s was designed as a multi-functional space with a cafe, shop and open space for concerts and talks, while William’s Pavilion was a cinema with two extra spaces on the roof for a cafe and a shop. They also considered how people would move around their spaces. Jemma created a tunnel for people to walk through before emerging into a dome structure, while Bryn’s SLR Pavilion was to be entered through the ‘screen’. You could then view the outside world through the lens of the massive camera and change the effects – zooming and tinting etc – on the window pane. You can see all their finished models on the ‘Your Pavilions’ page. 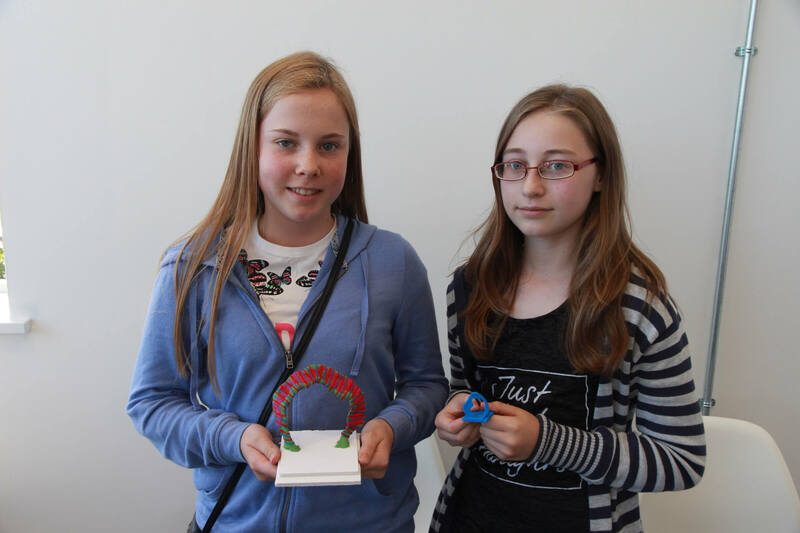 Laurel and Aimee’s joint design was chosen to be 3D printed. It was a sculptural arch inspired by nature made from wire with a plasticine and string casing. It stands as a proud totem to natural beauty.